This website is unofficial and for informational purposes only. Girl Scout words, pins, the trefoil shape and other items are trademarked to GSUSA.  This site was designed courtesy of Crystal Cloud Graphics using digital camera images and modified using The World Association of Girl Guides and Girl Scouts symbol used throughout this site was adapted by Crystal Cloud Graphics but belongs to WAGGGS. This site is navigable for the seeing impaired.